I think Mayor Herenton was RIGHT. Before I talk about what, I would like you to watch this segment from Good Morning Memphis on Wednesday. Go on, I can wait, it's important. Did you happen to notice how Councilors Strickland and Harris responded to the Facebook comment at the end of the video that we shouldn't throw any more money into a "dying city"? THEY DIDN'T. Really? You were elected by citizens to represent parts of this city and you couldn't muster a response to the idea that the city is DYING? For Jim Strickland, who keeps being rumored to make a run for Mayor in the event Mayor Wharton doesn't run, this is sending a message that questions how much he believes in this city. As for Councilor Harris, I have no clue about his non-response. Never mind, of course, that Steve Ross has pretty much eviscerated Strickland's theorem that crime and taxes are why people are leaving. I am not seeing a lot of FOR SALE signs in the Poplar Corridor, which Jim Strickland represents, unless it's by a child selling the home of a deceased parent. This is still not a market to sell your house. Is the city having problems? Sure, what major city hasn't? The truth of the matter is that the local economic development people feel that we can't compete for corporations if we don't give away the store with PILOTs and TIFs. I disagree, because that means if there are jobs, YOU AND I are subsidizing them. Mayor Herenton got in trouble about a decade ago when he suggested that if you didn't like living here, you should leave. You know what? HE WAS RIGHT THEN AND HE IS RIGHT NOW. I am a Memphian by choice, not by birth. I have had opportunities to leave here in the past, but I stayed because there are tons of good people here of all races, creeds, colors, religions, sexual orientations, etc. No, the city is not like it was in 1950, and it will never be that white again. If you really think my city is a shithole and you can't wait to leave, go. NOW. Move somewhere else where you think you will be more comfortable and where your visions won't be challenged by the diversity of this city. And I don't just want you to leave this city, I want you to leave the freaking SMSA. Stop sucking money out of this area and go somewhere else where you think you will do better. As for me, and the rest of this city and metro area, we are going to stay here and make this a city where people can work together and build NEW businesses, one where it doesn't matter WHERE in this town you live, a thriving neighborhood will be possible. Maybe then, we will elect people who will defend the city and the citizens who elected them. No word yet on arrangements for the Rock and Roll Hall of Famer, born in Rosemark in 1930 as Robert Calvin Bland. He will be deeply missed. Mark your calendars for TWO upcoming events this Thursday and NEXT Tuesday! We are moving next weeks' DL to TUESDAY NIGHT, JUNE 18 at 7 PM as we have the new Director of Planned Parenthood's Greater Memphis Region, Ashley Coffield, coming to speak to Drinking Liberally Memphis! This will be your chance to meet her and hear what is happening at PPGMR, our thanks to PPGMR's (and DL regular member) Joan Carr for making these arrangements. So come to DL on TUESDAY, JUNE 18 at Frida's at 7 PM! Looks like a busy few days for us all! The RETURN of the Sidney Chism Picnic (a NEWER version) is this Saturday! The Annual Sidney Chism Political Picnic returns this Saturday 12:00 noon to 5:00 p.m. with a new look and swagger. For 13-years County Commissioner Sidney Chism; who has held office in the Tennessee Senate, is past Chairman of the local Democratic Party, and spent 40-years as a labor leader and Teamsters administrator; held a political meet & greet in a 12-acre park located behind the family owned Horn Lake Road Learning Center @ 3657 Horn lake Road in Southwest Memphis. The annual event allowed members of the community to meet local elected officials and candidates for local offices in an informal setting while enjoying food of the grill and various cold beverages. Chism did not host the picnic last year but instead took the year off to restructure the event. On Saturday, June 8, 2013, the new “Sidney Chism Annual Non-Partisan Community Picnic” returns with a new look which allows citizens of Memphis and Shelby County the same access to local leaders and candidates plus more FREE FOOD & DRINKS and more LIVE ENTERTAINMENT and some surprises we’re saving for Saturday. 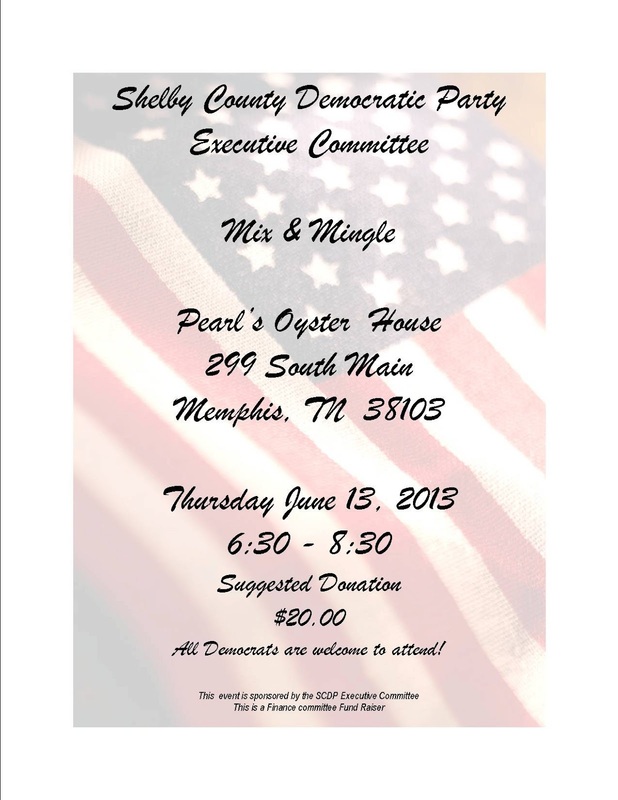 “We’re getting ready for the biggest non-presidential election year in the history of Shelby County and the campaign kicks-off this Saturday”.